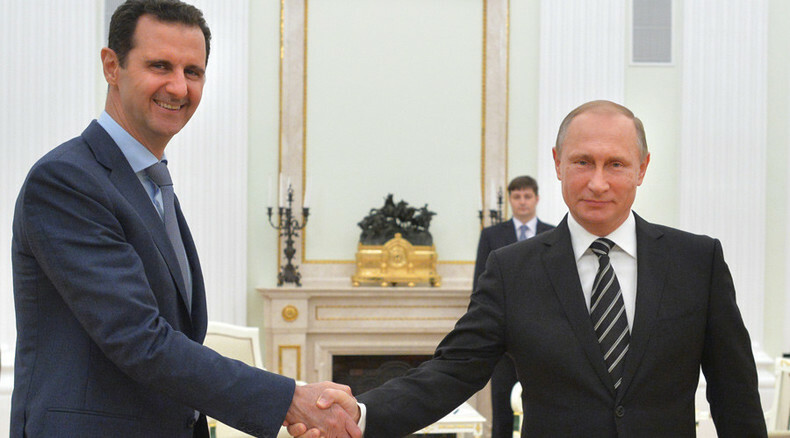 Russian President Vladimir Putin and Syrian President Bashar Assad held talks in Moscow on Tuesday. The Syrian leader said Russia’s actions have prevented the terrorists from seizing larger areas in his country. Syria is a country friendly to Russia, and Moscow is ready not only to assist with fighting terrorism, but also in reaching a peaceful political settlement to the Syrian conflict in cooperation with other global and regional powers, Putin said. “The decisive word, without any doubt, must belong solely to the Syrian people,” Vladimir Putin stressed. 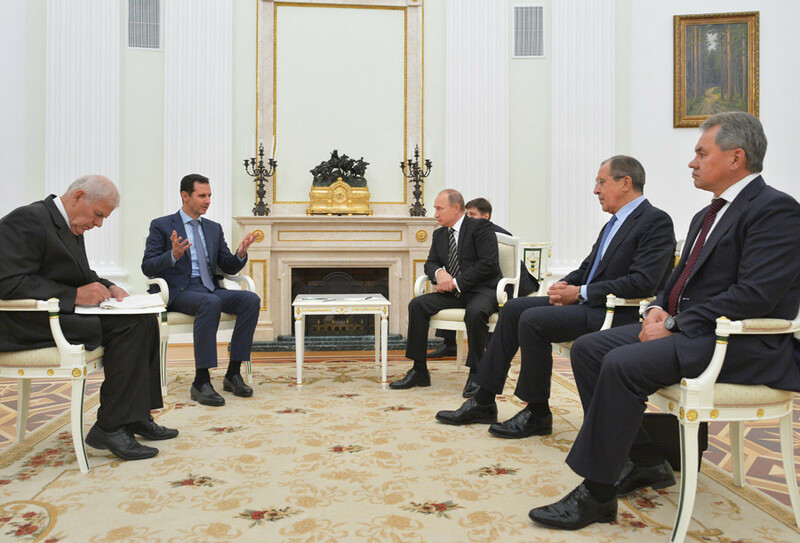 Bashar Assad thanked Russia for the support provided to Syria in fighting for its sovereignty and unity. Once the terrorists are defeated, it will take a united effort to rebuild the country economically and politically and to ensure peaceful coexistence for all, Assad concluded. 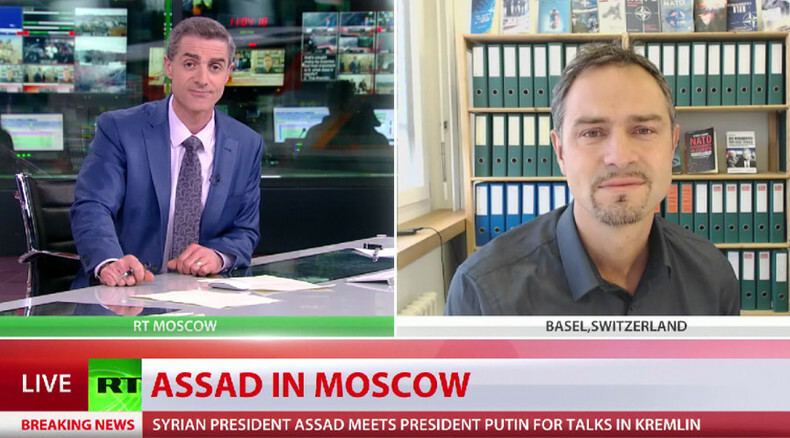 Assad’s visit to Moscow is an indication of the Syrian leader becoming more ‘confident’ on the international arena, says journalist and broadcaster Neil Clark. “I think [Assad’s visit] is significant because he hasn’t left his country for four years of this terrible war, since this Western proxy war started. And so I think it means he is confident that he can leave the country,” Clark told RT. 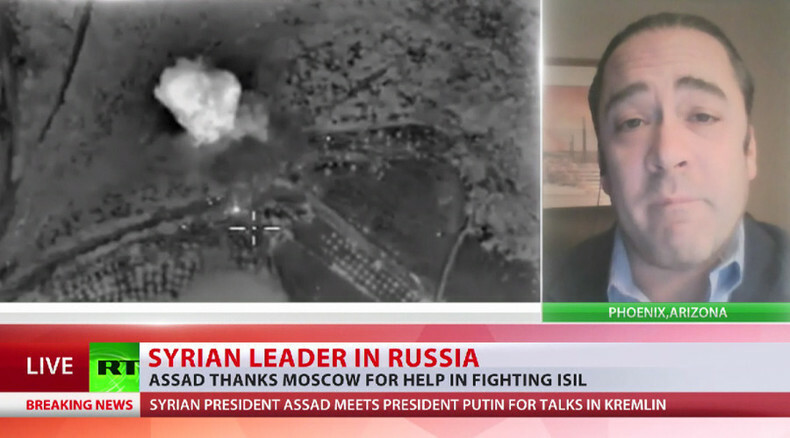 Russia has “basically gatecrashed an underground party that has been going on for four years,” Henningsen said. “Countries like the US, Turkey, Jordan and NATO allies like the UK and France have been able to operate in the shadows. Russia has basically barged in, switched on the lights and said the party’s over. “They are very upset in Washington and are still throwing temper tantrums, saying Russia has made a horrible move,” Henningsen said, adding that the US would like very much to see Russia in another Afghanistan. 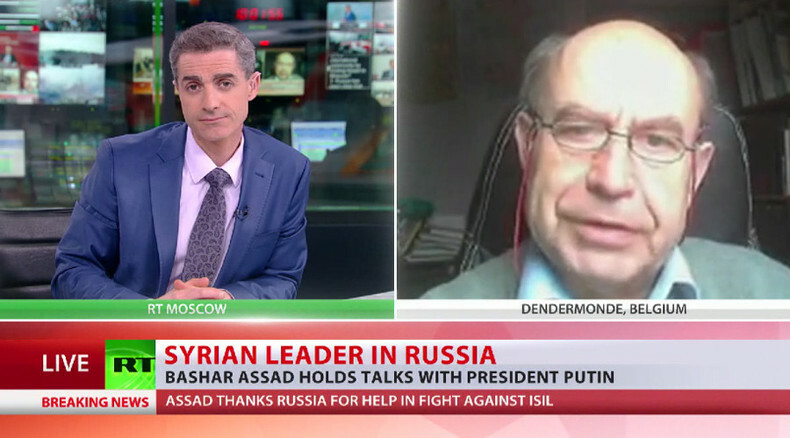 Henningsen said that if the West was really serious about dealing with the terrorist threat, they would have worked with the Assad government because that is the ground force and they have the most ground intelligence. Henningsen added that with the 22,000 bombs that were dropped on Islamic State by the western anti-ISIS alliance in the last 13 months, Islamic State should have disappeared already. Daniele Ganser, a peace researcher and expert on NATO, said the Pentagon's strategy of fighting against ISIS and simultaneously supporting militants fighting against Assad isn’t working. The US “always made this very strange mix of communications by saying, ‘Yes, we want to topple Assad,’ and, ‘We also want to fight IS,’” he said. “This was always bewildering to any peace researcher or historian who looked into the situation, and I do not think they had a clear strategy in Syria."